An Alberta MLA who has made a career out of going after politicians for expenses, is on a leave of absence from his role as finance critic after it surfaced that he rented out a taxpayer-funded apartment and pocketed the money. Derek Fildebrandt, who represents Strathmore-Brooks for the United Conservative Party, has admitted he rented out the apartment via the website Airbnb while he also claimed a housing allowance for the property. Alberta MLAs who represent constituencies outside the Edmonton region can expense more than $23,000 per year for accommodations. Fildebrandt, who was once a provincial director for the Canadian Taxpayers’ Federation (CTF), says it’s a waste to leave the apartment empty for half a year when he’s not in Edmonton. “When I want a ride in a city, I use Uber. When I want to communicate with constituents, I use Facebook and Twitter. When I have an empty house, I use Airbnb,” Fildebrandt said in a statement Thursday. He said he openly shared his practice and indirectly speculated that the timing of the story is politically motivated. He was more contrite later, issuing a formal statement through the UCP. "I believed that renting out my Edmonton home while I was away was above board and never costed the taxpayer anything extra," said his statement, provided by the UCP. "I however recognize the perception that this is not good enough, and have spoken with my constituents, and they are never wrong. I apologize." Interim UCP leader Nathan Cooper announced Thursday that Fildebrandt would be taking a leave of absence from his role as co-finance critic. "The UCP believes in fiscal accountability and protecting taxpayers," Cooper said in a statement. The CTF in Alberta says Fildebrandt’s actions were wrong and is calling for a wider review of MLA expenses. "When MLAs are given these funds they're not meant to be used in turn to profit from it. When they are given these funds, they are meant to cover off the cost of living,” said Colin Craig, interim Alberta Director of the CTF. Craig said the CTF has been calling for an overview of MLA expenses for five years. In fact, Fildebrandt was instrumental in releasing the expense claims of Alberta cabinet ministers that led to the firing of one and the overhauling of expense policies. Craig added that the Airbnb is a new part of the same old story, but MLAs have a history of using their living allowances to purchase entire homes. "When they go on to retire in 15, 20 years then sell those homes, they end up pocketing hundreds of thousands of dollars. We think that those laws overall need a review and need to be tightened up." He says that it won't be the government who decides the consequences for Fildebrandt. "Ultimately, his constituents are going to decide if he's addressed the situation well enough. For us, it's not just that the funds are returned; we need to see a change to the rules overall so that it's a fair system." Lori Williams, a political science professor at Mount Royal University in Calgary, says this issue is particularly thorny for Fildebrandt. "The problem is his entire public life he has been advocating for responsible expenditure of taxpayer money; spending less and spending it ethically and wisely. This isn't ethical. It may not be illegal, but to essentially double-dip, to make a profit off of taxpayer dollars, goes against his entire history,” she said. "It's not an excuse he would have ever accepted as CTF chief or as finance critic. I think hypocrisy is a real problem for him." 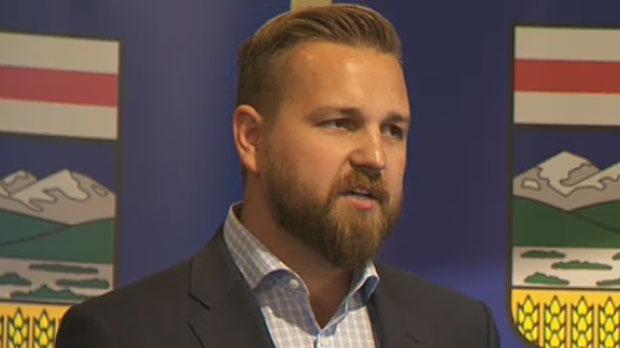 Fildebrandt announced earlier this week that he would not be running for the leadership of the new UCP, the result of a merger between the Wildrose Party and the Progressive Conservative Association of Alberta. Fildebrandt also took shots at the leadership of Brian Jean, the former Wildrose leader who is campaigning to lead the UCP. Derek Fildebrandt is the Member of the Legislative Assembly of Alberta for Strathmore-Brooks. Should politicians be able to sublet taxpayer-funded residences?